We are the church of Christ which meets in Tarentum, Pennsylvania. This site is published by the church of Christ which meets at 614 East Ninth Avenue in Tarentum, Pennsylvania. We are glad that you have come to visit us and hope you will give us an opportunity to explain who we are and how we might be of service to you. 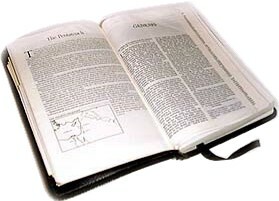 It is our goal to answer any questions you might have about the church or the Bible which God has given to guide us. To teach all people the Gospel (good news) of Jesus Christ and to help lost humanity find salvation in Christ by submitting to Him and serving Him on His terms as revealed in the New Testament. To show that a congregation of the church patterned after the original in its teachings, worship and organization is a "way which is right and cannot be wrong!" We are convinced from studying the scriptures that anything short of New Testament faith is not serving God with all of our heart, mind and soul. There are many religious people saying "Lord, Lord", but how many are willing to open up the Bible and ask, "Lord, what do You want me to do next?" True faith wants to know what God says. We can never be sure we have true faith until we search the scriptures so that we may know the will of God. "Faith cometh by hearing and hearing by the Word of God" (Romans 10:17). Please come and study with us if you are in our area. Check out the rest of our web site for more Bible information concerning the church and then visit our "Contact Us" page to locate us, find out about our meeting times or to request a Free Bible Correspondence course conducted through the "snail mail."